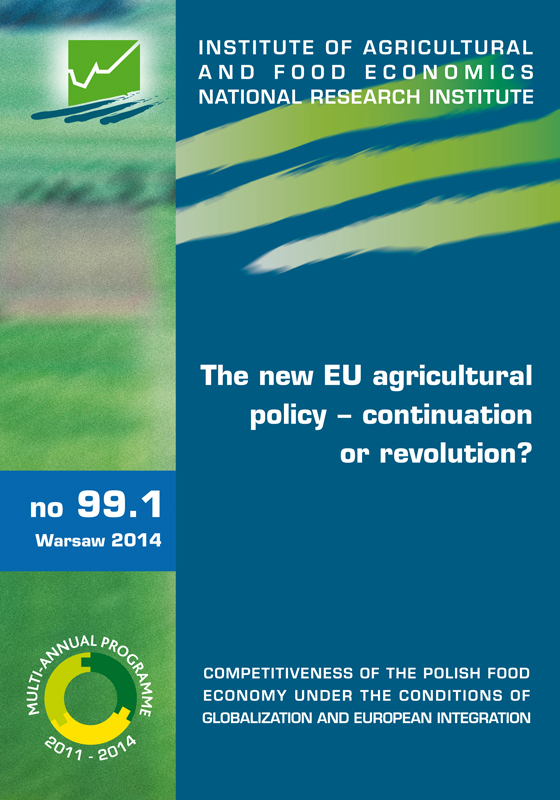 Nr 99.1 The new EU agricultural policy - continuation or revolution? Jesteś tutaj: Nowości wydawnicze > Publikacje ... 2011-2014 > Nr 99.1 Th ... evolution? The purpose of the study is to analyze the effects of CAP measures 2014-2020 for the agri-food sector and rural areas of selected EU Member States and third countries.